For protecting the memories and keeping them in a nutshell we have brought an extensive range of Photo Frames. These frames are perfectly made as per the industry specific standards and offer a complete transparency to the photographs. These are uniformly tested for their quality and the reliable raw materials are used for making them. 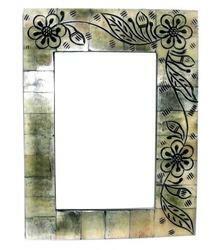 We have marked a remarkable position in the market by offering the best quality array of Carving Photo Frame. We offer Designer Picture Frame to our customers which are made up of supreme quality wood acquired from the most trusted vendors in the market. These products are manufactured by our highly skilled craftsmen as per the industrial standards. Our customers can avail these products at industry leading prices. All of these frames can be made in any shape, design or size. Natural Bone frames give a classic and clean look. They go well with almost all room designs and are are popular choice among customers. 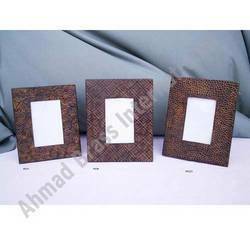 We are the leading manufacturer and exporter of Wooden Carved Photo Frame. Our offered products are tested on our various parameters in order to ensure the flawlessness of the product. We offer different models of carved wooden photo frames following the demands of clients. Picture frames carved in sheesham wood.